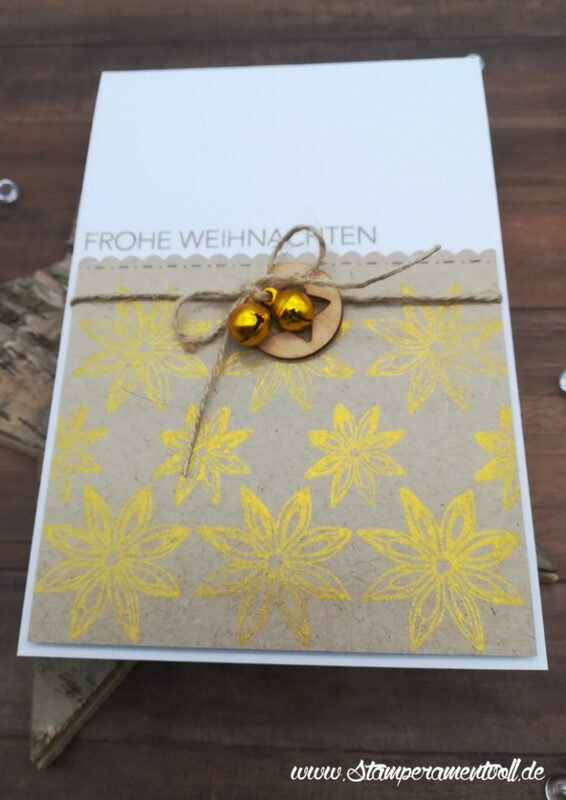 Genutzt habe ich das Stempelset Festive Foliage von Create a Smile, Golden Glitz Pigment Stempelfarbe und Perfect Pearls, damit’s so richtig schön funkelt. 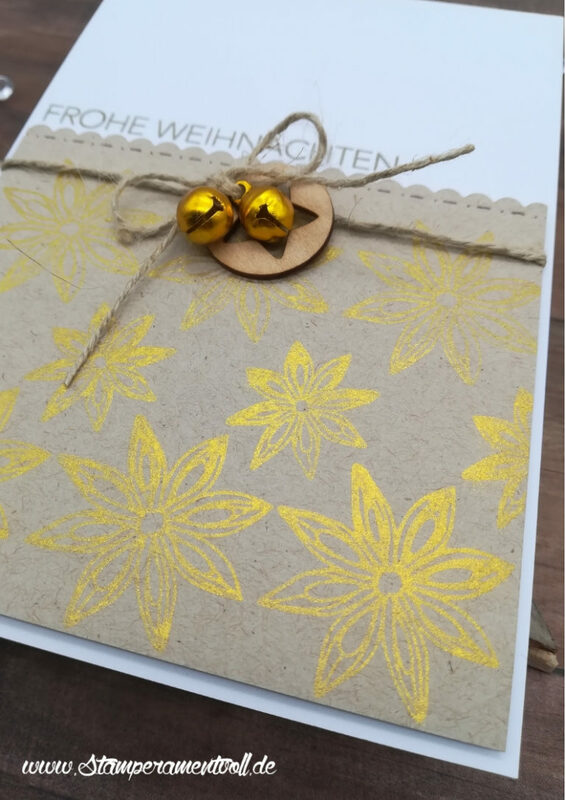 Last minute möchte ich mit meiner Kreation noch bei der Create a Smile Challenge „Kraft“ mitmachen. 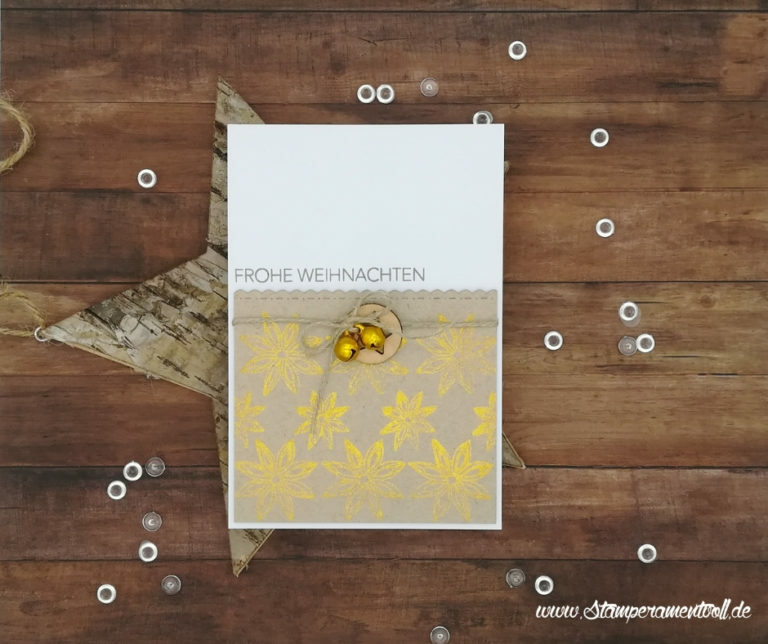 Alles Liebe und machts hübsch. Beautiful! The addition of the gold bells is perfect! Thank you for playing in the Create a Smile Challenge! So beautiful and elegant ! Thank you for playing along with Create a smile challenge ! 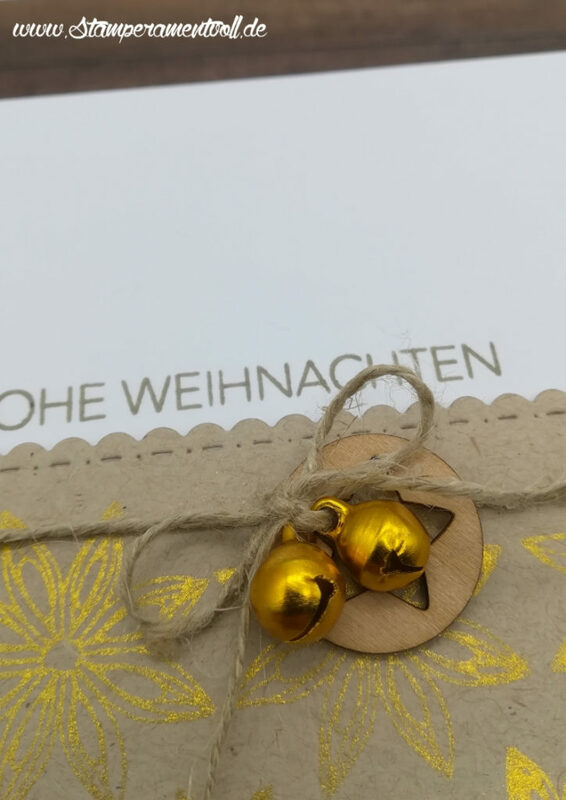 So cute and elegant, I love the little jingle bells! Thanks for joining us at the Create a Smile challenge! Lovely! What a beautiful design! Thanks for joining us for the challenge!